You may have bought a house hiding a treasure and you don’t know! When buying a house in Italy, it is a good idea to do a proper inspection of the property just to be sure of what you are getting yourself into beforehand. Ok, we already know this. But inspection is not just for purposes of identifying any possible shortcomings but also seeking to establish if there are any valuable hidden architectural marvels to be discovered. So if you’re going to renovate an ancient property, especially if built several centuries ago, you could have some unexpected and beautiful surprises. Then we have come up with a list of the top four cardinal areas that you should consider. Many years ago, it was a common practice for Italians to create false ceilings for purposes of thermal insulation as well as for the acoustic effects. For instance, in the 13th and 14th century, camorcanna or cameraccanna was used in ceilings and it reached its greatest diffusion in the 19th century thanks to its lightness, rapid execution and economic advantage.. This was a technique that employed plaster and reeds to create vaults. The vaults typically consisted of wooden string frameworks to which a plaster support was attached. These vaults were commonplace in churches, theatres, villas and even in private homes. The false ceilings often hid wonderful architectural designs in the original ceilings that were built of brick or wooden beams. In some cases, these beams were even adorned with precious ornaments which added to the aesthetic quality of the original ceilings. Another place you should check is behind the surfaces. There have been instances where some of the original material was covered by plaster. This could have been done in an effort to give the building a more modern look and feel. At other times, the plaster might have been used during renovations with an aim of strengthening the walls by protecting the inner materials from the elements, like wind and rain. If you are lucky, you might just get a vintage wall below the plaster surface that just needs a little bit of polishing up to return it to its former glory. In the olden days, many houses in Italy were built with tiny windows for purposes of thermal insulation. This is especially true for those regions that experienced colder winters. In some other cases, the structural design of the building made it almost impossible to use larger windows. However, with modern innovations in thermal insulation as well as in architecture and design, you can add larger windows to the building and transform it into a marvel. Nothing makes an antiquated building more aesthetically appealing than adding large windows to allow more natural lighting. However, you might want to check with the local authority first to ascertain whether your intended window design is allowed for that area. That is particularly the case for those ancient hamlets where there are strict policies targeted to protect historic buildings. When you buy property that is centuries old, it can only be expected that it will need some renovation. When inspecting a building that you intend to buy, take note of the areas that need renovation and then find out if the materials needed for renovating the building are readily available in the immediate environment. In Italy, there are lots of architectural scrap dealers that provide these materials. Whether you need some old fashioned red bricks, wooden beams, terracotta tiles, or hand-made glazed tiles, you can be sure to find a local dealer that will provide that and more. Using ancient materials to renovate vintage buildings helps maintain the old fashioned lustre and aesthetic appeal that is just priceless. 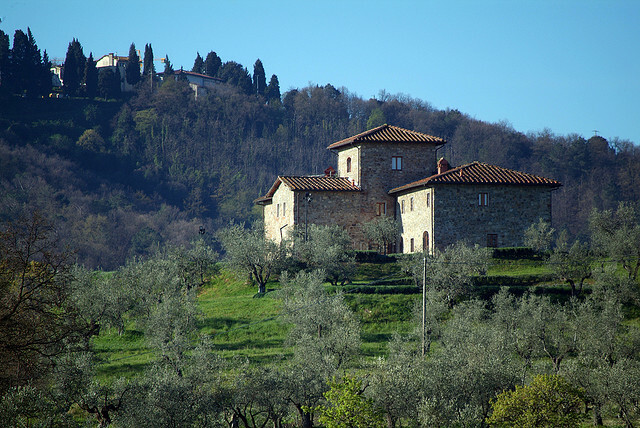 Start now to find your property to renovate and turn into your perfect retreat in Italy.